There is so much talent oozing out of Lauren Daigle's new album, 'How Can It Be', it has to be one of my favorite albums of the year. 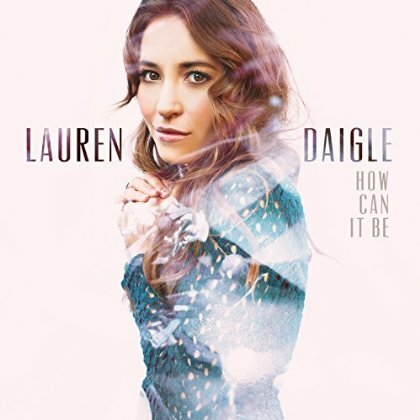 Read More There is so much talent oozing out of Lauren Daigle's new album, 'How Can It Be', it has to be one of my favorite albums of the year. The opening two songs of this album could easily fit on any Hillsong album, with the delightful 'I Am Yours' sounding a little bit like 'I See The King Of Glory' by Hillsong. A strange comment to start the review, but it's the first thing that jumped out at me about those songs. Saying all of that, it really isn't a carbon copy Hillsong album. The songs have these big choruses with great melodies, but it's the passionate raw vocals that take these songs to another level. 'How Can It Be' gradually builds up musically, from a quiet reflective intimate worship song into an outpouring of praise. This is a wonderful worship song. There are many times where you are left lost in the spirit of worship and I personally think that has been Lauren's aim from the start. The very modern sounding 'O'Lord' is lyrically a brilliant song about God being there and making everything right. 'Come Alive' is about calling out to God for our Dry bones to come alive, basically asking God's Holy Spirit to invade our lives. There are so many themes like this on the album. There are some lovely tender moments too, none more than in the beautiful 'Power To Redeem' and 'Salt & Light'. It's in these songs that we hear the real gritty vocals that have an air of raw passion pouring out of Lauren. Yet in those passionate vocals is a real tenderness to her singing that is simply breathtaking. The album ends with the piano led 'Once And For All'. I am left speechless listening to it. How can you describe such a wonderful song in a few simple words? You really can't. It's like the first time you heard Adele sing with just a piano, you are left speechless and warm inside. What I think I enjoyed about this release is the fact that each track left me surprised. I wasn't expecting this kind of album. The raw and unashamed lyrics and fresh honest music, with no gimmicks, was a nice find. These are songs written and sung from the heart about God who is ruler of our lives.